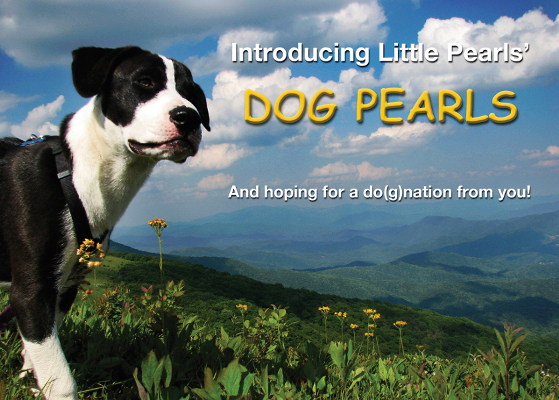 Please help us create these Dog Pearls. 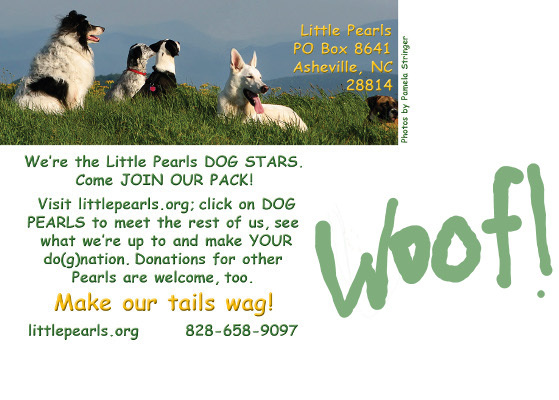 Our goal for the Dog Pearls is to inspire deeper connection and compassionate action on behalf of dogs, cats and companion animals everywhere. We hope these “tiny films” prompt many adoptions and encourage you to listen to your intuition for bringing companion animals into your hearts and homes. All animal organizations providing direct care can freely use these Pearls in their own fundraising and educational programs. In challenging times, people often reduce their giving. Bring more love into your life instead – give for love, inspiration, compassion and hope! Financial and in-kind Do(g)nations can be made by you, your dog(s), your family, your child(ren), your business, another animal in your family, etc. You can do(g)nate in memory, in honor or on behalf of any dog, dogs in general, a certain kind of dog, a Dog Star, a person/family, an animal organization, the human/canine connection, wild dogs, etc. CLICK ME (Charley) TO DO(G)NATE NOW! We are grateful for ALL Do(g)nations, no matter the size! BIG DOGS can give at a little dog level, too. Just do what you can to help dogs everywhere with these new “tiny films” about dogs and what we can teach our people. 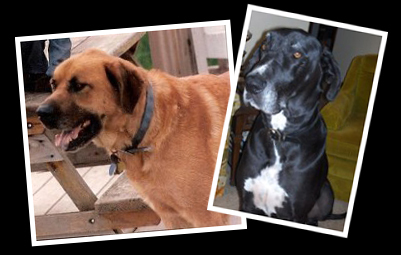 ALL dogs are big dogs in our hearts! So, come on, join our pack!!!!! Regular donations are also most welcome! If Dog Pearls do not speak to you, we are planning Cat, Horse, Honeybee, Whale, Walrus and Parrot Pearls, as well as Pearls about nature, spirituality, justice, relationships and the interconnection of all life. And our little screech owl Pinkey still needs help getting out into the world , so he can really FLY! !